Tuesday was the first Ozone Alert Day of Louisville’s early summer season. The Air Pollution Control District warned us yesterday that ozone levels would be in the “orange zone” Tuesday. 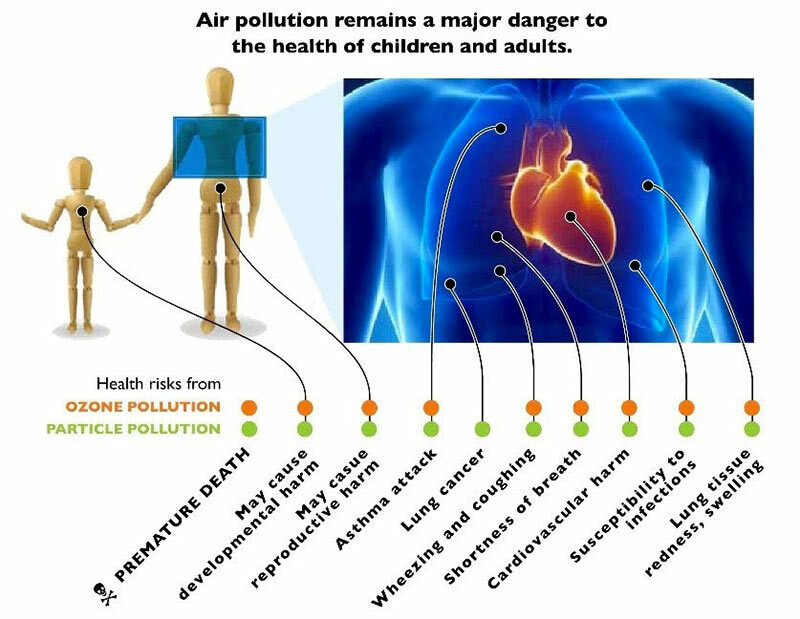 This means kids, older adults, active adults, and anyone with heart and/or lung problems should stay inside. If you usually run, bike, or walk outside, head to the gym instead. The problem started Tuesday afternoon when the Air Quality Index for Ozone reached 101 around three in the afternoon. In 2015, our first air quality alert was issued on June 10 and in 2014 the first forecast for bad air was issued for July 22. In the above video from the American Lung Association, the animation shows how polluted air inflames the body, creating “a bad sunburn” inside the lungs and nose. This “sunburn” tightens up the airways and makes it hard to breathe when ozone levels are high. As I mentioned in an interview with Colin Mayfield of WLKY, Jefferson County got an F for air quality in the American Lung Association’s 2016 State of the Air report. We had 26 “orange” ozone days last year, which means that the ozone levels were unhealthy for young people, older people, and anyone with asthma, heart disease, or other breathing problems. We had six red ozone days, which means the air was unhealthy for all of us in the metro area, and one purple day which is extremely unhealthy. Rain and wind help to clear the air, so today’s weather could lower the levels. You can get air quality alerts from KAIRE to keep track of the health of our air all summer. This article is almost like doing something about bad air pollution–only not. No increased limitations on air pollution permits of chemical plants, no monitoring or limitations on more than a million car’s exhaust. What the city is doing is granting a discharge permit to every business that applies, not even regulating major sources of ozone precursors–like distillery ethanol, and devising Move Louisville to produce more single occupant vehicle commuters. This is Mars Attacks “Don’t Run ! We are your friends! Bzzzsst!